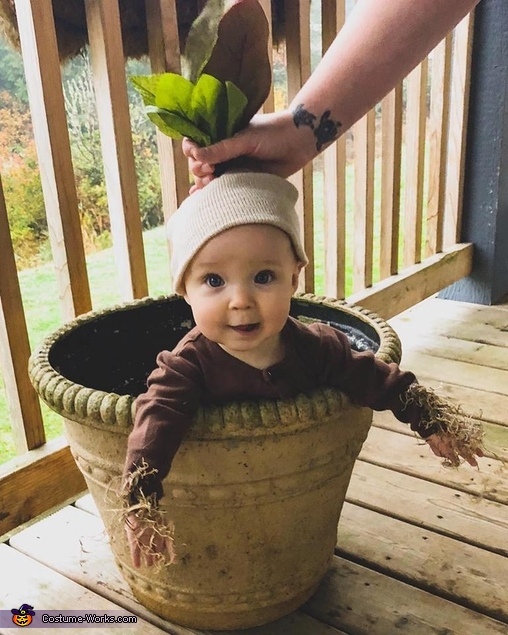 This is Stevie Jean, wearing a "Baby Mandrake" Costume. This costume was put together with items found at our local Thrift Store. She is wearing a brown sleeper, with Spanish Moss glued to the sleeves and feet. The hat was made from a tan beanie, with artificial leaves wired through the top. Very simple, yet adorable costume!